Choosing a financial advisor can be a difficult process. You want to find the right person to manage your money and there are a lot of options to consider. To make the search easier, SmartAsset dedicated hours of research to compiling this list of the top financial advisor firms in Tulsa. In the tables and reviews below, we lay out what you need to know about the firms to determine if any of them seem just right for you. If you want more guidance, SmartAsset’s financial advisor matching tool can pair you with nearby financial advisors after you answer a few questions about what you’re looking for in an advisor. SmartAsset looked exclusively at U.S. Securities and Exchange Commission (SEC)-registered firms for this list, as those firms are bound by fiduciary duty to act in clients’ best interests at all times. From that list of Tulsa firms, we eliminated any firms that had disciplinary issues to ensure that all of the firms on this list had clean records. We also cut any firms that didn’t manage individual accounts or offer financial planning. The remaining firms were sorted from the most assets under management (AUM) to the least, and appear below in that order. Capital Advisors, Inc. ranks first on this list because it has by far the most assets under management (AUM). The fee-only firm has nearly $2.27 billion under its management, and it’s the only firm on this list that manages more than a billion dollars. The second-ranking firm in terms of AUM, Bridgecreek Investment Management, LLC, manages $650 million. Capital Advisors, Inc. also boasts the biggest advisory team. The firm’s 20-person advisory team is three times the size of the next largest advisory teams. Capital Advisors’ team includes one of the most diverse spreads of certifications, including four chartered financial analysts (CFAs), three certified financial planners (CFP), one chartered alternative investment advisor (CAIA), one certified public accountant (CPA) and one certified divorce financial analyst (CDFA). It’s the only firm in the top 10 that has a staff member certified in handling the complex financial issues surrounding divorce. To be a client of this top-ranking Tulsa firm, you’ll need at least $250,000. The firm serves high-net-worth individuals, institutions, pension and profit-sharing plans, charitable organizations, investment companies and corporations. Founded in 1978, Capital Advisors, Inc. is the oldest firm on this list. Capital Advisors is an employee-owned firm. Its owners include CEO and chief investment officer Keith Goddard, president Andy Brown and chief financial officer Lori Smith, as well as the Keith C. Goddard Revocable Trust and Elizabeth L. Goddard Revocable Trust. Capital Advisors' services include portfolio management and comprehensive financial planning, which encompasses college funding, estate planning, tax planning, insurance, asset allocation, retirement planning, 401(k)s and investment selection. The firm values transparency, and it says that it sends clients its research notes to keep them up-to-date on trades, quarterly market overviews and market commentary during periods of volatility. Notably, the firm claims compliance with the Global Investment Performance Standards (GIPS®), a set of ethical standards created by the Chartered Financial Analyst Institute that ensure investment managers fairly and fully disclose investment performance results. Aside from transparency, Capital Advisors, Inc. also emphasizes active management and customization. The firm uses fundamental strategies, which use individual equity and bond positions, and quantitative strategies, which use exchange-traded funds. The firm says that these strategies are centered on risk management, the foundation of the firm's investment process. Capital Advisors offers seven core portfolio strategies, which each offer a different exposure to asset classes and incorporate both active and passive investment philosophies. However, Capital Advisors says that it encourages portfolio managers to “mix and match” among the seven portfolios, which it describes as building blocks to creating portfolios tailored to clients' objectives and situations. Capital Advisors says that it creates a “custom blueprint” for each client, based off of his or her investment policy statement, which outlines a client's customized asset allocation. Bridgecreek Investment Management, LLC has the highest account minimum on this list: To become a client, you'll need at least $1.50 million in investable or liquid assets. Unsurprisingly, the firm almost exclusively serves high-net-worth individuals. Bridgecreek is also the smallest firm on this list, with just two advisors on staff. Both of them are chartered wealth managers (CWMs) and chartered investment management analysts (CIMAs). It is a fee-only firm that charges only a percentage of assets under management. In 2017, Barron's named Bridgecreek’s founders, Chuck Fuller and Brian Carney, as among the nation's top 1,200 financial advisors. Bridgecreek Investment Management, Inc. was founded in 2004. The firm, which describes itself as a "boutique independent investment manager," is principally owned by founder and CEO L. Charles Fuller and founder and CIO Brian Carney. The firm's primary service is discretionary portfolio management. Bridgecreek offers potential clients a free initial consultation, during which it evaluates your current portfolio and projects your assets for the next 25 years to ensure the creation of a portfolio that would meet your short-term and long-term needs. Bridgecreek Investment Management creates customized "lifestyle" portfolios for its clients. These customized portfolios, which are based on clients' unique needs and objectives, drive investment decisions. In general, the firm is focused on managing risk, minimizing taxes and educating clients about its decisions regarding their assets. The firm typically spreads risk among domestic and international equities, corporate bonds, U.S. Treasuries and Agencies, real estate, municipal bonds and commodities. If the market is particularly volatile, the firm may turn to derivatives, options or trading vehicles. For equity selection, Bridgecreek relies on a fundamental approach, which looks at qualitative and quantitative factors to measure a security's intrinsic value. The firm relies on its own proprietary analysis and outside research from places like Standard & Poor's, Goldman Sachs and Argus for its assessments. Fee-only financial advisor firm Pinnacle Investment Advisors has more than $547.43 in assets under management (AUM). The majority of the firm’s clients are individuals, with some high-net-worth individuals in the mix as well. Institutional clients include pooled investment vehicles, pension and profit-sharing plans, charitable organizations, state or municipal government entities and Indian tribal entities. The firm has eight advisors on staff. Certifications held by the team include one certified financial planner (CFP), one certified investment management analyst (CIMA) and one chartered financial analyst (CFA). There is a minimum account size of $250,000. Fee rates depend on the investment strategy you use and are based on a percentage of assets under management. Employees at Pinnacle do not earn commissions, though there is one employee who is licensed to sell insurance. Pinnacle Investment Advisors was founded in 1996. The firm does not provide details of ownership, but does list two managing partners: R. Brett Kramer and David Poarch, both of whom are also financial advisors. Gibraltar Capital Management is a fee-only firm with six advisors on staff and nearly $432.55 million in assets under management (AUM). The firm advises a mix of high-net-worth individuals and other individuals, in addition to pooled investment vehicles, pension and profit-sharing plans, charitable organizations and other corporations. The minimum account size is $500,000. Fees at the firm are based on a percentage of assets under management and the advisors do not make money in the form of commissions. The team at Gibraltar includes three chartered financial analysts (CFAs) and two certified financial planners (CFPs). Gibraltar was founded in 2002 by James Redman and McCrary “Mac” Lowe, both of whom remain the principals of the firm. Gibraltar uses an active management strategy for its managed accounts, believing that there at catalysts to be found that will create value for customers. The advisors are not overactive though, often holding stocks for years. In other words, this is not an operation in market timing. The firm believes in investing in stocks that have low investor expectations. This way, bad news won’t create as big of dips while good news will potentially create even greater reward for stockholders. Unlike the previous two firms, Cadent Capital Advisors, LLC primarily serves individuals, rather than high-net-worth individuals. The firm does not require a set account minimum. Aside from top-ranking firm Capital Advisors, Inc., Cadent Capital Advisors’ staff has the most diverse array of certifications. The firm has six advisors on staff, including two certified financial planners (CFPs), two accredited investment fiduciaries (AIFs), one chartered financial consultant (ChFC) and one chartered retirement financial consultant (CRPC). It’s the only firm that boasts a retirement planning-related certification, which is something for retirement-minded individuals to keep in mind when choosing a financial advisor. Cadent Capital Advisors is a fee-based firm. Certain employees are insurance agents and/or representatives of a broker-dealer, and they earn commissions from sales, which could present a potential conflict of interest. However, the firm is a fiduciary, so its advisors are bound by fiduciary duty to put their clients' best interests before their own. Founded in 2012, Cadent Capital Advisors, LLC is the second-newest firm on the list, behind KHP Capital LLC. Cadent is principally owned by Philip Mooberry, who serves as the firm's managing director and principal. Cadent's services include investment management, financial planning and cash flow management, legacy and estate planning, risk management and tax planning. The firm says that comprehensive reporting, which is customized to fit clients' specific needs, lies "at the heart" of its service offering. The Cadent Process is Cadent Capital Advisors’ four-step process for creating a plan for clients to achieve their goals. The first step in the process is discovery, during which the firm gets to know your specific needs and objectives. After that, the firm moves to strategy. During this phase, Cadent works with you to develop a long-term investment strategy that's tailored to your risk tolerance and goals. Once a comprehensive plan outlining that strategy is created, the firm implements your investment strategy. The fourth and final step in the process is to review progress to goals. Cadent routinely monitors its clients' accounts and makes adjustments when necessary. In general, Cadent relies on strategic asset allocation for its client portfolios. The firm typically uses long-term trading, short-term trading, short sales, margin transactions and options trading. Disciplined Investments, LLC is the financial planning and investment advising arm of HoganTaylor, a tax and accounting firm. Notably, some of the investment representatives at Disciplined Investments also serve as certified public accountants (CPAs) at HoganTaylor, which gives the firm an edge on tax and accounting matters. Disciplined Investments has at least one certified financial planners (CFPs) on staff. The fee-only firm serves both non-high-net-worth and high-net-worth individuals, as well as families and business owners. Rather than a single set account minimum, the firm's account minimums vary by account type. For the Outsourced Family Office, the minimum is $5 million, or $50,000 in annual fees. For wealth management, there's a $500,000 minimum, or $5,000 in annual fees. For the I-INVEST accumulation program, the minimum is a low $5,000, or just $500 in annual fees. There is no account minimum for hourly services. Disciplined Investments, LLC was established in 2001. As mentioned previously, the firm is a subsidiary of the certified public accounting firm HoganTaylor LLP. Disciplined Investments offers asset management and financial planning and consulting services. Its financial planning offerings encompass executive planning, legacy planning, retirement planning, charitable and planned giving strategies, sudden wealth, Social Security planning, insurance consulting, education funding, estate planning and income tax planning. Disciplined Investments' mission is to help its clients invest efficiently. To do this, the firm firmly avoids speculating on which direction the market may head or how specific securities may perform. Instead, it focuses on what it considers to be "significant determinants" of portfolio, which it defines as diversification, cost reduction, tax efficiency and a long-term discipline. The firm's primary strategy is to create broadly disciplined portfolios, which provide sufficient exposure to meaningful risk factors. The firm typically opts for lower-cost investment vehicles and managers, and it will also consider clients' goals, time horizon, risk tolerance and tax situation when making investment choices. 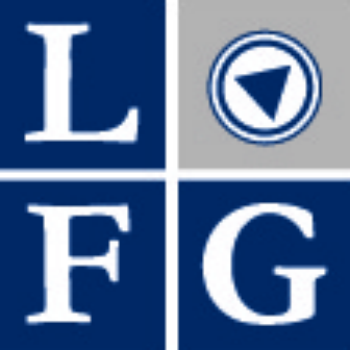 The Legacy Financial Group is a fee-based firm that has $315 million in assets under management (AUM). The majority of its clients are non-high-net-worth individuals, though it does have hundreds of high-net-worth accounts on its roster as well. Legacy does not have any institutional clients. It has five advisors on staff, including one certified public accountant (CPA), one chartered financial analyst (CFA) and one certified financial planner (CFP). The minimum account size for clients is $100,000. Portfolio management fees are based on a percentage of assets under management. This fee also includes financial planning services. Some advisors are licensed insurance agents and may make commission for selling products to clients. This is a conflict of interest, but advisors are bound by fiduciary duty to act in the client’s best interest. Legacy Financial Group was founded in 2005 as the successor to a previous firm founded in 2000. The primary owners of the firm are Randall J. Cloud, Kevin M. King and Jeffrey Maxwell. All three of them work as advisors at the firm. Additionally, the firm uses modern portfolio theory, which keeps a long-term focus centered on capturing the returns that markets offer. Both mutual funds and individual securities, including fixed-income instruments, may be used. Warburton Capital Management, LLC has the second-highest account minimum on this list, after Bridgecreek Investment Management, LLC. To be a client of this fee-only Tulsa firm, you’ll need at least $1 million. The firm serves a select number of working and retired business owners and professionals. However, the firm only takes on new clients after they go through an initial discovery process to determine if Warburton is truly the right fit. Warburton Capital Management has one certified financial planners (CFP) on its team. Warburton Capital Management, LLC has been a registered investment advisor since 2006. The firm's majority owners are Thomas Warburton, the firm's chairman and director, and Blue Sky Bank, a community bank with locations in Tulsa and Cleveland, Oklahoma. Warburton takes a team-based approach to managing its clients' finances. Uniquely, the firm also has what it calls a "resource team," which is a team comprised of attorneys, CPAs and insurance professionals who can identify gaps in the financial planning process. The firm’s comprehensive wealth management services include investment counseling, relationship management and advanced planning, which encompasses charitable giving and wealth transfer. The firm implements these three disciplines through its extensive wealth management process, which involves as many as six meetings over a period of three months to ensure you and your advisor are on the same page. The firm only provides discretionary asset management. Warburton Capital Management's investment methodology, which it describes as a "buy, hold and rebalance, passive methodology," is based on academic research. The firm does not believe in timing the market or what it describes as "clever stock selection," instead relying on asset allocation. Warburton believes that asset allocation is the primary driver of portfolio performance and that, in general, the markets are efficient and assets are fairly priced. Warburton relies on diversification to minimize risk. As indicated by its extensive wealth management process, Warburton will create personal investment policies for each of its clients and, subsequently, a portfolio based on that policy. However, the firm generally uses one of its core models of investment assets for clients, as it says most clients fall within those parameters. The firm's core models feature varying allocations of mutual funds, which hold stocks, bonds, cash and real estate investment trusts. Out of the firms on this list that require a set account minimum, SMS Financial & Investment Management's is the lowest. You'll need just $20,000 to become a client of this firm, which serves individuals and high-net-worth individuals, families, businesses and institutional clients. The firm’s three-advisor team includes one certified financial planner (CFP), two certified public accountants (CPAs) and one chartered financial consultant (ChFC). SMS Financial & Investment Management is a fee-based firm. It charges its clients a commission for each trade it makes for their portfolios, which is a relatively uncommon fee to charge for advisory services. In addition, the firm's advisors sell insurance and securities products and may earn a commission for sales. Though this may present a potential conflict of interest, the firm is a fiduciary, so its advisors are bound to put their clients' best interests before their own. SMS Financial & Investment Management was founded in 1995. SMS is owned by Stephen Streeter and Stephen Stipe, the firm's co-founders. Rather than operating as a cohesive firm, SMS has independent representatives who are spread out geographically and operate through various business names. The firm provides a platform for these independent representatives to offer services that fit their skills and experience. The firm's primary focus is on investment advisory services. SMS estimates that it devotes about a quarter of its time to other services, like insurance advice and financial plans. The firm's financial planning services encompass investment planning, college planning, tax planning, retirement planning and estate planning. SMS Financial & Investment Management designs each portfolio to meet a client's investment goal. Supervision of the portfolio is guided by a client's risk tolerance, ranging from aggressive growth to income. The firm primarily invests its clients' assets among mutual funds and exchange-traded funds (ETFs), including long and short mutual funds and ETFs that have an inverse relationship or an enhanced relationship to market indices. According to the firm's website, it offers two approaches to investment management: a fee-only approach or a commission approach. The fee-only approach removes the firm's incentive to earn a commission, as its compensation is based on a percentage of your assets under management rather than selling products. Melia Wealth Advisory Group LLC, the final firm on our list of top Tulsa firms, has more than $152.45 million in assets under management (AUM), the lowest AUM on the list. Melia has just three advisors on staff. Notably, its team does not hold any additional certifications. Like several other firms on the list, Melia Wealth Advisory Group does not require a set account minimum. The firm serves a majority individuals, though it also serves high-net-worth individuals. Melia Wealth Advisor Group was founded in 2009. It's wholly owned by Greg Melia, the firm's CEO. Melia says its main emphases are on protecting your assets and helping you to solidify your personal legacy. The firm provides personalized investment management, as well as financial planning and consulting. Its financial services, offered on a fixed fee basis, include everything from risk management to estate conservation. As mentioned above, Melia Wealth Advisory Group LLC is concerned with protecting its clients' assets. The firm says that while some advisors will insist on staying the course no matter the cost, it's prepared to shift strategies when the market is in turmoil. The firm explains that it's investment focus "is to create steady income through non-stock-market options." Melia Wealth Advisory Group's investment strategy is based on clients' unique objectives, which are laid out in investment policy statements. In addition, the firm may also use the strategies of long-term and short-term purchases, trading and option writing.